Study for class or finish your next project at the Harper Blvd. white A-frame desk. 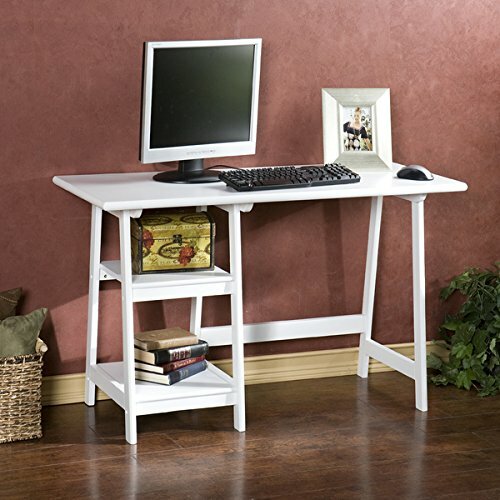 This versatile desk is well suited to completing homework, working on a computer or crafting. Hardwood legs provide a sturdy base and durability. The desk is ideal for smaller spaces such as dorm rooms.Harper Blvd furniture brings homes together with curated looks that fit your lifestyle. If you have any questions about this product by Harper Blvd, contact us by completing and submitting the form below. If you are looking for a specif part number, please include it with your message.